Symi is an island that is part of the Dodecanese island group, which is in the southern Aegean Sea, near the larger island of Crete. Even though Symi is on the smaller side, it is still large enough to accommodate more than its fair share of tourists. In fact, the rugged nature of the island gives it an enchanting quality, with its mountainous terrain and elegant beaches. Because of its fairly rugged landscape, Symi has some picturesque beaches! Don’t let the small size of the island fool you – there’s more than enough coastline to keep even the most discerning of beach bums happy! By far, the best family friendly beach on the island is Agios Nikolaos. 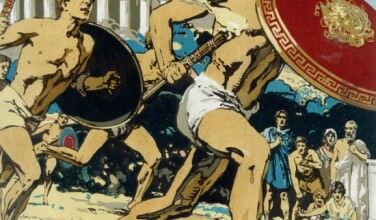 It’s well built up with plenty of restaurants and tavernas nearby. It also boasts soft sand and a gently slope into the sea, which is ideal for families with small children since the water remains shallow enough to keep children safe. Other worthwhile beaches include Agia Marina, Nanou Bay, and Pedi Bay. 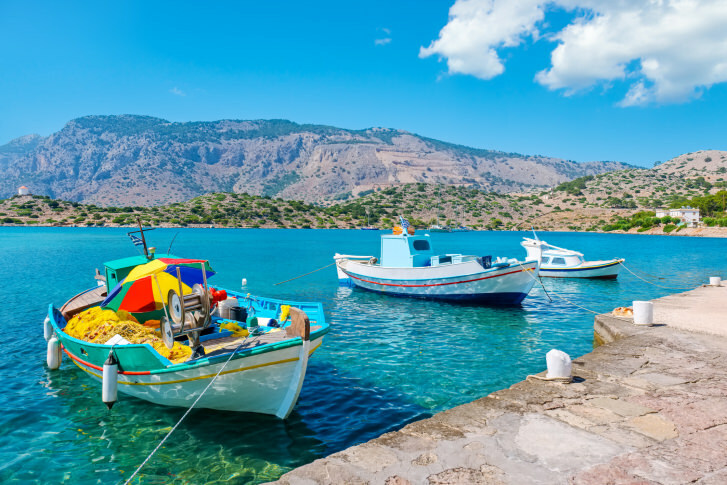 If you love port towns, spending time in Yialos should be on your list! 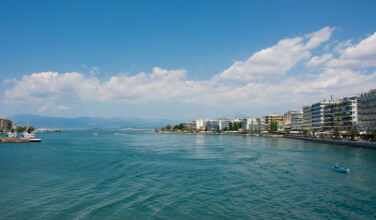 At one time, Yialos was a haven for the wealthy and their mansions line the coast of this quaint port. Today, many of these buildings are converted into shops, cafes, and restaurants. While here, spend some time meandering the streets and visiting any boutiques that interest you. 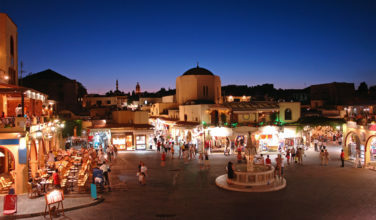 Once you’re done exploring the town, there are more than enough restaurants and tavernas to choose from! Be sure to try some of the local seafood, such as grouper and Greek lobster. You also won’t want to miss the Symi Naval Museum, which touches on the fascinating maritime history of the island, and the Church of Agios Ioannis, a historic church which was built in the early 1800’s. Once you’re done exploring Yialos, consider making your way to Chorio, the old capital city of the island. 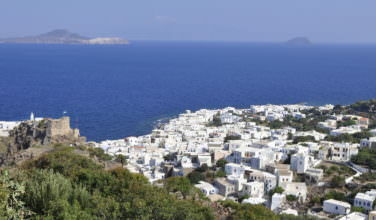 It’s just a short walk from Yialos, or you could always take a taxi if you don’t want to make the trek on foot. While here, make your way to the Archaeological and Folklore Museum to get a nice overview of the history of the island. You also won’t want to miss the Kastro, an old fortress that overlooks the port city of Yialos. One of the most popular places to visit on the island is the Monastery of Taxiarchis Michael Panormitis, which is located just south of the old capital. This monastery is dedicated to the patron saint of the island, which is said to protect the sailors and inhabitants of the island. Besides housing a large church, there are also two small museums here that are worth a visit that highlight about Byzantine culture and folk art. Since this is a place of worship, it’s important to learn the rules and be respectful before venturing here.